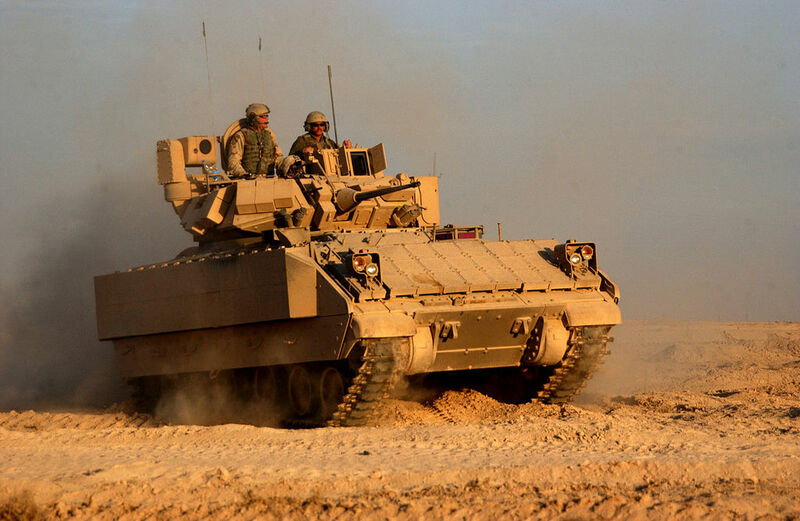 The US Army is fed up with its venerable infantry fighting vehicle. After 34 years of untiring service the M2 Bradley is being readied for obsolescence and ultimately, replacement. This can’t come too soon as modern war keeps getting deadlier for armored vehicles–the battlefields of Northern Iraq and Syria attest to this. 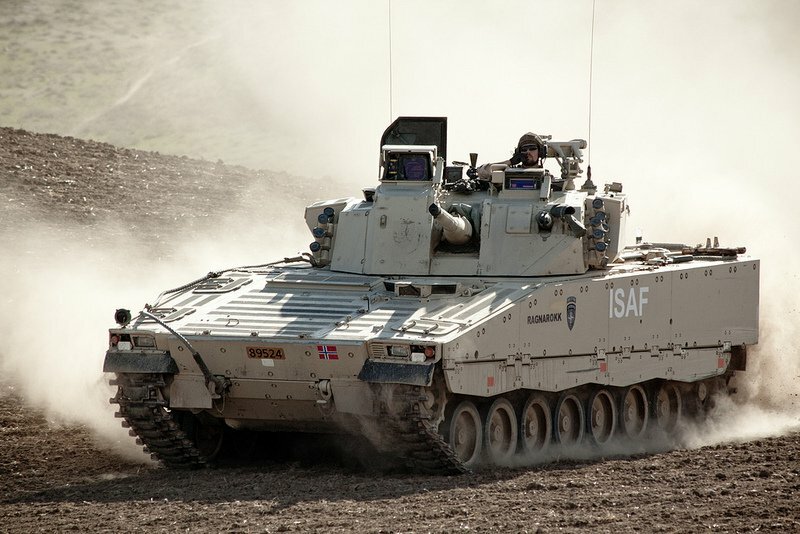 But when the US Army launched its Ground Combat Vehicle or GCV program in 2012 the resulting prototype pitched by BAE Systems weighed a monstrous 70 tons. The ridiculous mass together with its ugly angles meant the first try at a GCV was a disaster waiting to happen. No wonder it was cancelled in 2014, joining the same trash heap as the wasteful Future Combat System or FCS program from 1999 to 2009. Despite the success of the wheeled Stryker, which eclipsed the semi-retired M2 Bradley by 2008, the preference for a tracked chassis and serious armor protection reigns supreme in the Pentagon’s vision for near future conflict. In 2017 the US Army relaunched its quest for a Next Generation Combat Vehicle (NGCV) without providing specifics. The only criteria was a basic design that can be tailored for any mission. Tangible results, i.e. two working prototypes, are expected by 2022. Unfortunately, the rest of the world has beaten the US to the punch. Here are a dozen examples–from East Asia to Western Europe–of what the US Army’ NGCV should aspire to become without a scary price tag. To give credit where it’s due, most vehicle specifications were sourced from Military-Today. The Pentagon better hurry because the technology gap it once relied on isn’t there anymore. 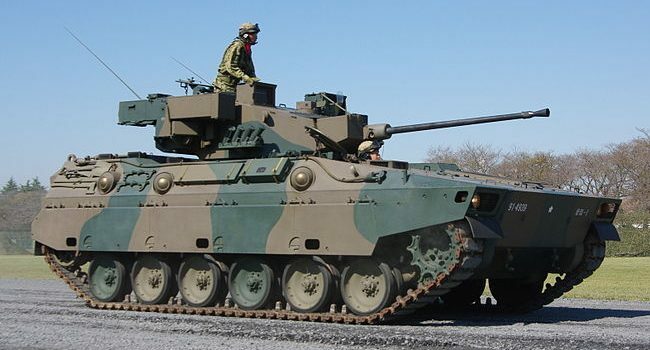 The IFV used by the Japan Self-Defense Force isn’t too different from the Bradley. But how much better is it? Well, it has never seen combat. Probably never will. The Type 89 is so unremarkable only 120 have been made so far. South Korea was the first Asian country to start building its own M113 APCs. Thanks to broad and persistent efforts at improving the country’s technological-industrial base armored vehicle manufacturing has evolved to the point of superiority. 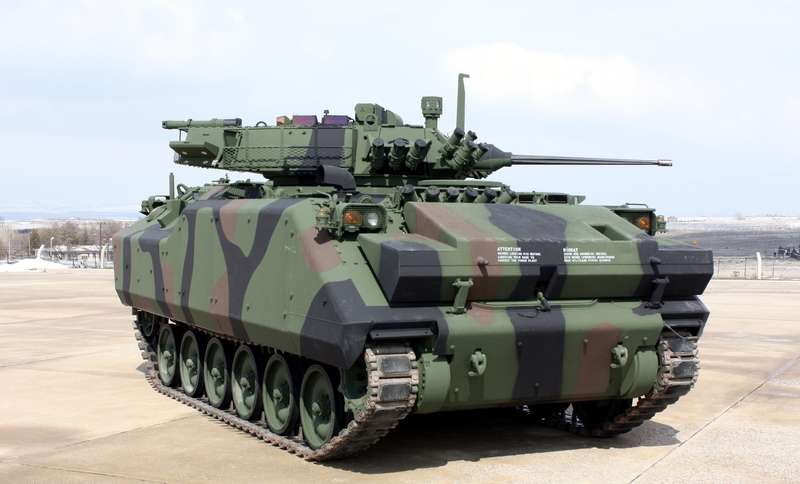 The K21 made by Doosan is larger, better armed, and faster than the M2A3 Bradley. Its 40mm cannon and tandem missile launchers are bad news for both enemy tanks and infantry. The K21 also features a unique flotation system for water crossings. 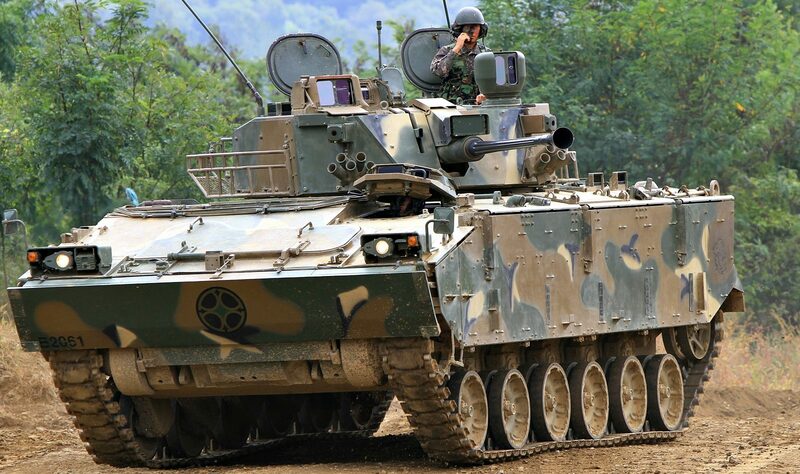 The ROK Army’s K21 has several variants, including anti-aircraft missile launchers and a prototype light tank. If the US Army needs a tangible vision of an all-in-one vehicle, they should consider the K21. It’s doubtful if China’s approach to infantry fighting vehicles–a complex subject in itself–can inspire the stubborn US Army. But the ZBD-04 and its later variants are worth thinking about with utmost seriousness. Copied from the Russian BMP-3 but with a multitude of improvements, the ZBD-series could be the best protected and most heavily armed APC in the world right now. For starters, its 100mm missile firing rifled gun can destroy most targets, moving or stationary, with high explosive rounds. It can even cripple tanks, unless the latter are hit on either their glacis or the turret’s frontal arc. 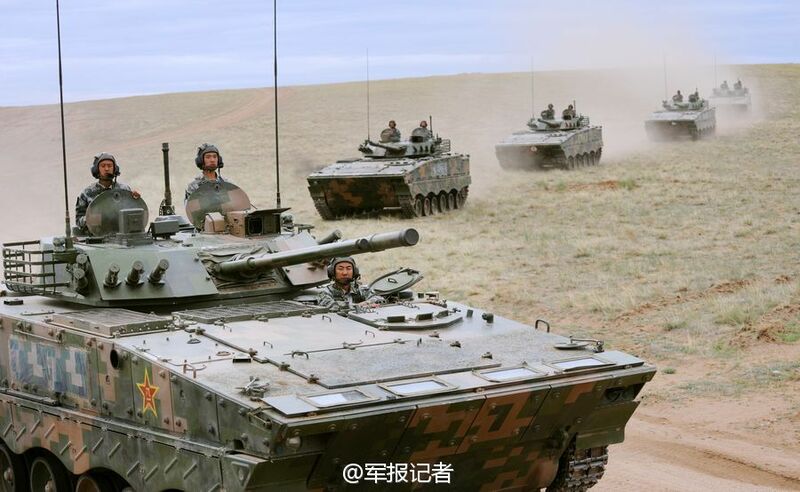 The Chinese have done so much with their BMP-3 clone, turning it into a mobile anti-aircraft gun, a missile carrying tank destroyer, an artillery spotting vehicle, and even an amphibious light tank. The bottom line is the PLA have a superb platform the US Army can only dream of. 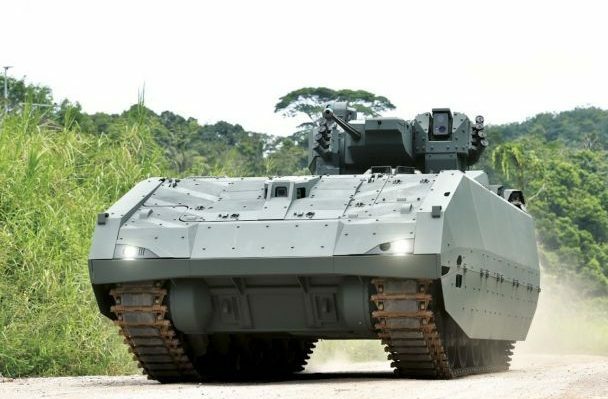 Singapore’s superbly equipped armed forces got tired of their M113’s too. First came the Bionix, which emphasized protection for urban combat. Its newest sibling improves on the original’s better qualities but with a cool unmanned turret, battle management software, an active protection system, and camera-equipped visibility. It’s doubtful the AFV will find customers abroad at this point. It won’t be in service until 2019 and these won’t be many. But if keeping the M2A3 Bradley is the safest choice for the US Army then perhaps upgrades akin to Singapore’s Bionix lineage are the real solution. Both vehicles have so much in common anyway. The Russian Army per se hasn’t replaced its gigantic fleet of BMP-2’s and BTR-80’s. 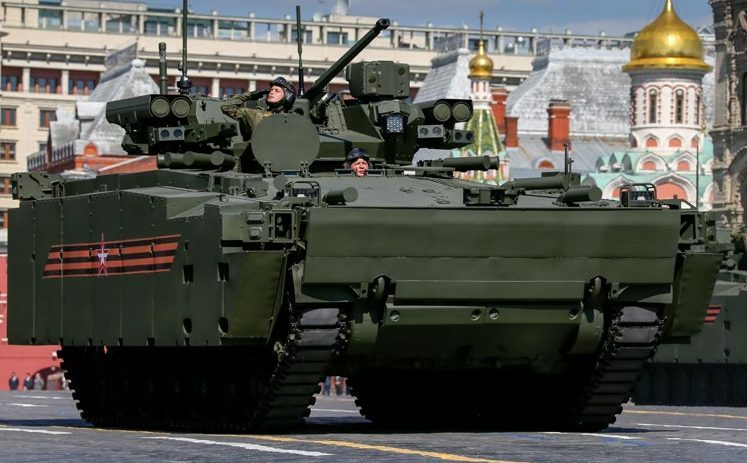 But in 2015 the public debut of the Kurganets-25, the lightest among the Armata family of tracked vehicles, showed NATO the Russians still prefer troop carriers that have room to spare for killing tanks. Ignoring its substantial armor, the four Kornet missiles on the unmanned turret should be cause for worry. Let this be made clear as day: Kornet missiles can destroy most targets they’re aimed at. Kornets are very bad news for the Blue Team. Armor. Firepower. Size. Technology. All in one package. These are the new standards Russia is setting for its next-generation IFVs. NATO should take heed. 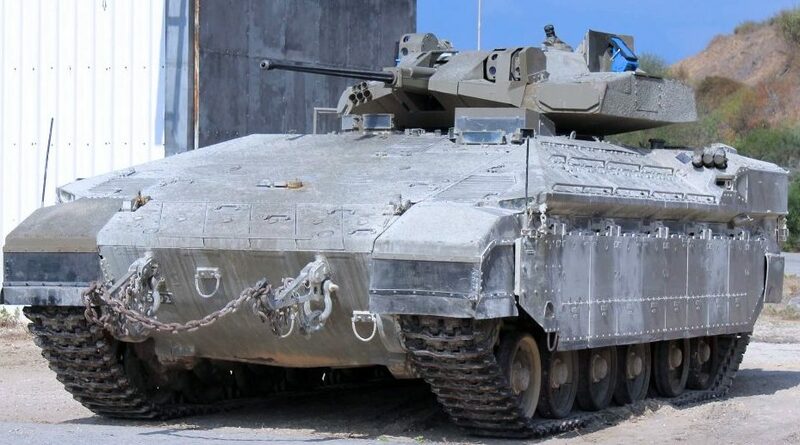 Israel’s ground forces have an enduring habit of cannibalizing old tanks into new vehicles. The Namer is an example of this. 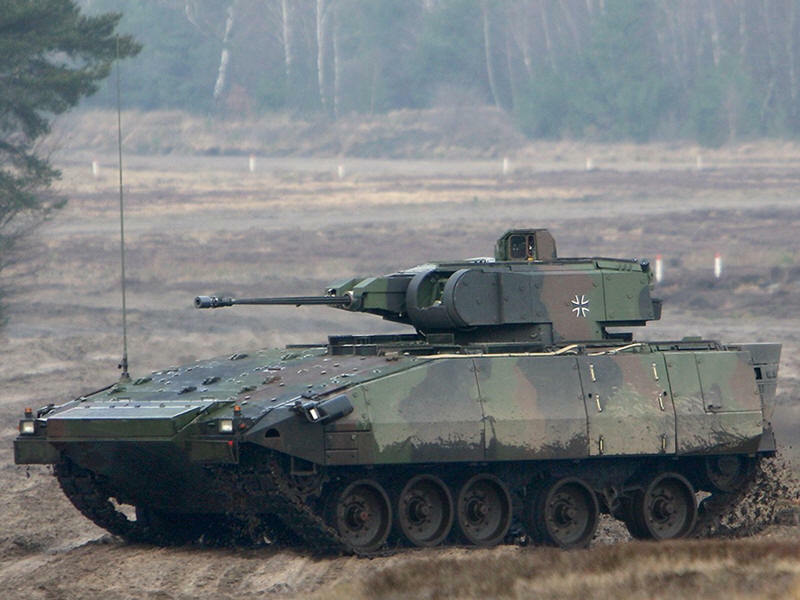 Of course, the gross weight of a tank conversion is problematic for most militaries. But the idea is attractive enough. The US Army and National Guard have access to thousands of decommissioned Abrams and Patton tanks. For want of a true “heavy APC,” why not restore the old hulls with new engines and install troop compartments on them? Weapons and countermeasures are mounted on remote turrets. 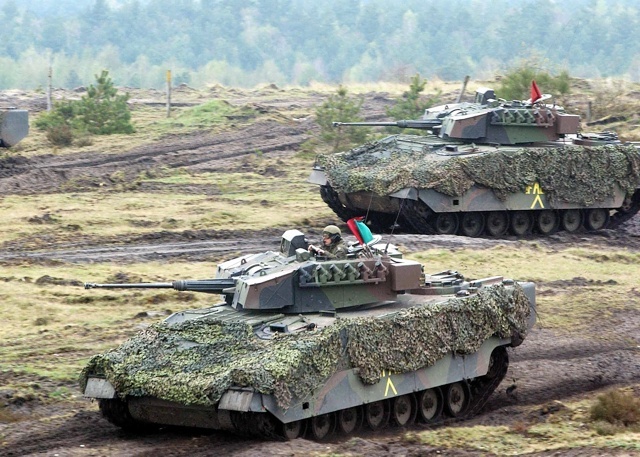 An active protection system sitting on layers of armor panels should work. The Namer even got a very intimidating unmanned turret with the Trophy system in 2017. Imagine if the same were done on a hulking Abrams-esque IFV. If finding a replacement for the Bradley is such a headache, then why not just keep it? The world doesn’t seem to care about the ACV 19 even when it’s the only example of a license built Bradley. 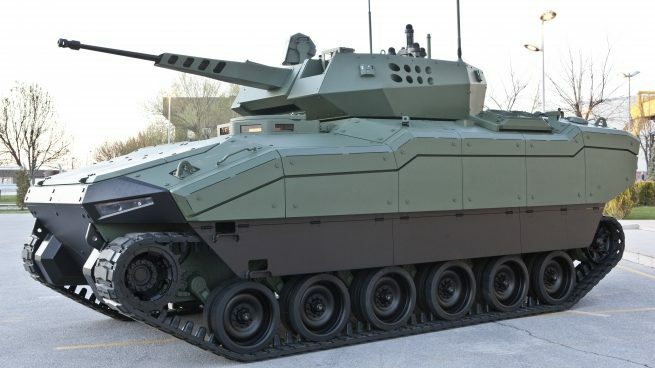 BAE Systems, the same contractor who tried selling its take on the GCV, is a part owner of Turkey’s FNSS. Why not used the same Bradley hull and chassis and then rebuild it depending on the mission requirements? This is what the ACV 19 was supposed to be: an ambulance, command vehicle, tank destroyer, towing vehicle, and air defense system. Whatever an army needed, the ACV 19 would be it. Too bad it didn’t find any customers. The Turkish Army currently operates somewhere in the neighborhood of 6,000 wheeled and tracked APCs. There’s an ongoing competition to overhaul the fleet, with Otokar and FNSS vying for the privilege of building a high tech tracked infantry platform with all the right bells and whistles. Both contenders, the Tulpar and the Kaplan (pictured above), are worth studying. They combine software and subsystems in an armored shell with impressive mobility. It seems the Kaplan is the better choice though. It’s amphibious and modular; FNSS can build it to any specifications, including a tank destroyer and an engineer vehicle. Whatever the NGCV aspires to become the Kaplan has already achieved. There isn’t a more perfect example of what the US Army needs than the Kaplan. The only reason why Excalibur Army’s BVP prototype is worth considering is because it proves modern technology can resurrect old systems. Don’t be fooled by its futuristic angles and unmanned turret. The BVP is a comprehensive “modernization” of the Czech Republic’s old BMP-2’s. 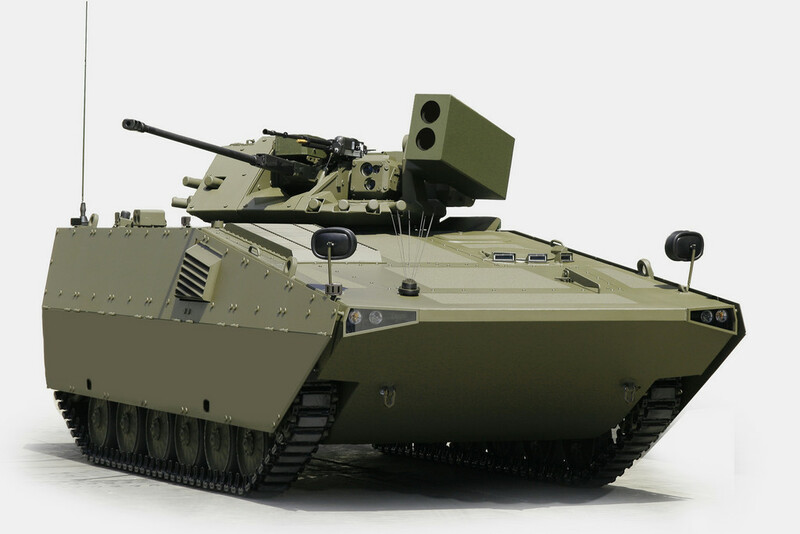 Maybe the Bradley replacement can be the same Bradley, but redesigned and semi-robotic? If the US Army needs an armor plus firepower solution without spending exorbitant amounts on research, maybe it makes sense to just adopt a NATO ally’s hardware. Like the German Puma, for example. It’s designed to carry layers of protection and comes armed with a 30mm cannon good enough for pulverizing steel and concrete. Its mobility is great and yes, the Germans can rebuild it into different vehicle types. Sold? Sold! The Austro-Spanish joint venture that produced the ASCOD is proof that existing alliance systems can be exploited for superb results. Besides, the US military’s Strykers are based on the Swiss LAV-series of wheeled armored vehicles. There’s certainly room for adopting more foreign models. Austria calls it the Ulan. Spain the Pizarro. Britain christened it the Ajax. 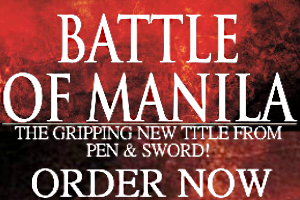 Maybe the US Army can name it after a cavalry officer from the 19th century? The best part about the the ASCOD is its production being owned by General Dynamics and it can be tailored for specific improvements. As far as capabilities are concerned, the ASCOD is the NGCV. It packs a punch. It has gone to war. The chassis is excellent. The biggest draw for the CV90 is it can be rebuilt to carry a turret armed with a 120mm gun, making it a superb light tank. But it can play APC, ambulance, tractor, or command vehicle–anything. Seven European countries use it and it’s made by BAE Systems. Them again. What is the NGCV supposed to do, anyway? Whatever it is, the CV90 can swing it. It’s now painfully obvious the rest of the world has succeeded where the US Army and its partners in the military-industrial complex are failing. The fundamentals of armored vehicle production today are set so low any country can build them. The selection above proves this, but it’s also supposed to make a point. American-led wars since the year 2000 have frayed the mythical superiority enjoyed by its armed forces. Fighting “asymmetrical” foes brings no clear cut victory while complex expeditions abroad are ill-suited for beating insurgencies, much less holding entire countries together. In the half dozen years until two NGCV prototypes materialize for testing, weapons technology–from smart munitions to robotics–will have advanced fast enough to endanger the entire program. As further discouragement, several countries have the capacity to build hundreds, if not thousands, of tougher and deadlier tracked and wheeled war machines. These possibilities risk making the NGCV obsolete before it even starts. So if the US Army really did care about results it would abandon the monstrous sums its R&D often wastes and settle on a practical solution: Choose any viable model close enough to its heart’s desire and repurpose it for the Army’s needs. Either this or squander years and billions of dollars studying a dumb concept with zero results in the end.